What are we up to; well, would you be surprised to hear we are getting ready for another extended trip? No, not surprised? I don’t really blame you; I’d be surprised to be able to tell you we were staying put! This weekend Jason and I are off for three and a half weeks of family, friends, and fun in the sun, with a work trip to round it all out. 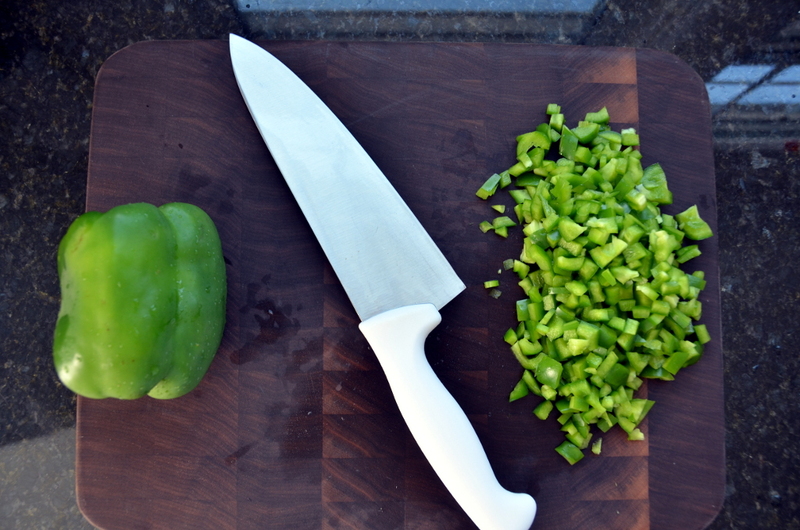 But before we head south, I wanted to get another recipe up. This one is excellent for those who may be participating in the allergy elimination diet (and for everyone else besides). 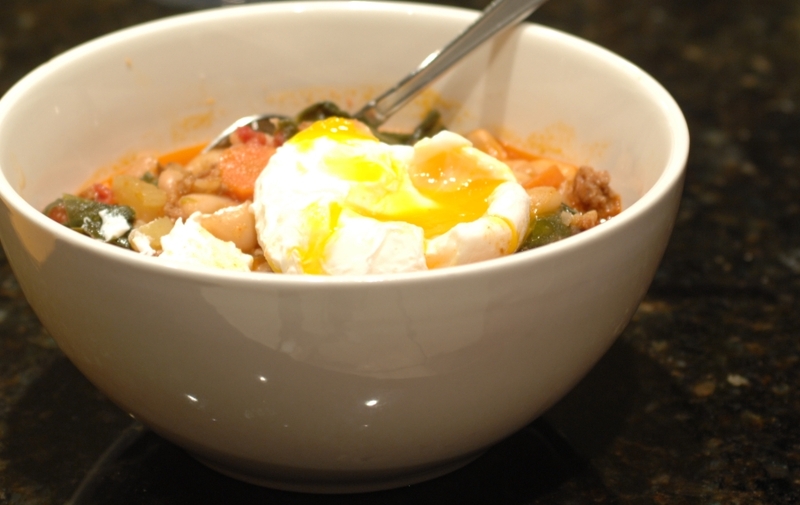 So, say hello to a Three Bean Chili that still has my fingers burning. . .forget to wear gloves for the darn jalapeno! 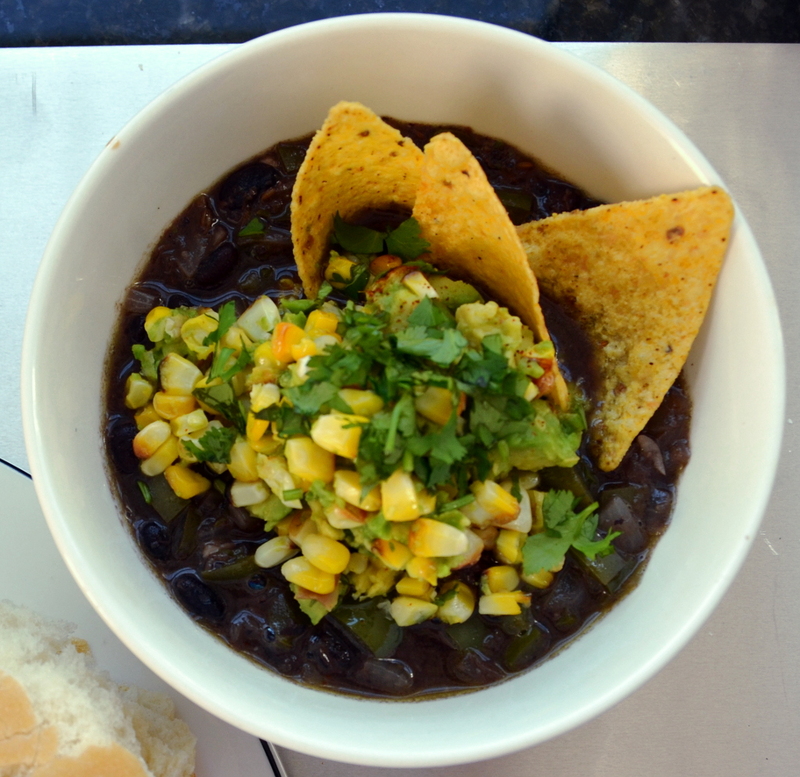 This chili is packed with vegetables and beans, which would inevitably lead my friends Frank and Nicole to say, “well, then it is bean soup, not chili”;however, as luck would have it, this is both my recipe and my site so. . . chili it is! (I love you, Frank and Nicole). I hope you enjoy. Look for more allergy elimination diet information to be posted later this week. Wait, you say, what is that marvelous muffin mincing just out of focus? That, my friends, is Sarah Brittons‘ wonderful Black Quinoa Corn Muffin. 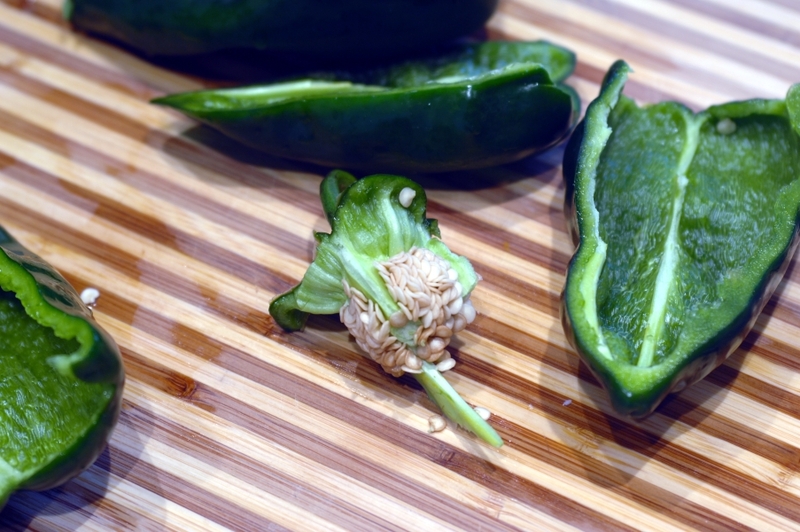 Head over and get the recipe for a perfect chili pairing! Soak 1 cup of beans in water to cover overnight. Drain beans, and transfer to medium pot. Add water to 2 inches above beans, bay leaf and 1/2 tsp salt. Bring to boil then reduce to bare simmer; check for done-ness at one hour. 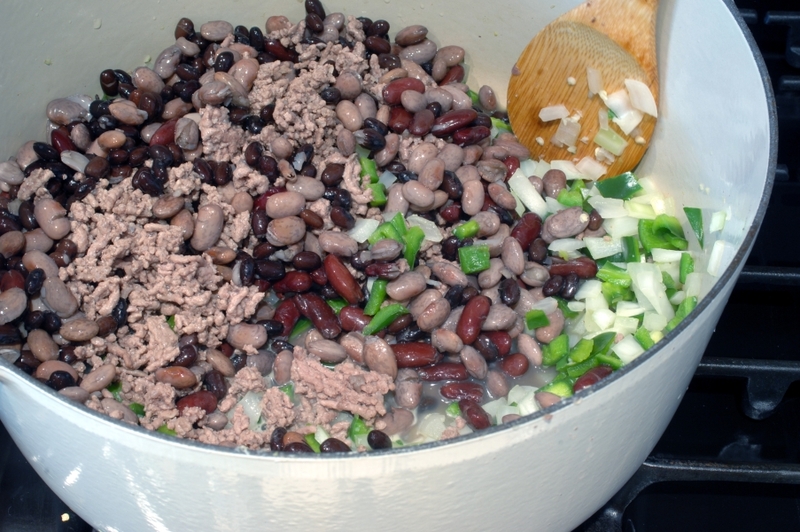 Beans should be fully cooked but still toothsome-remember, they will cook more in the chili. 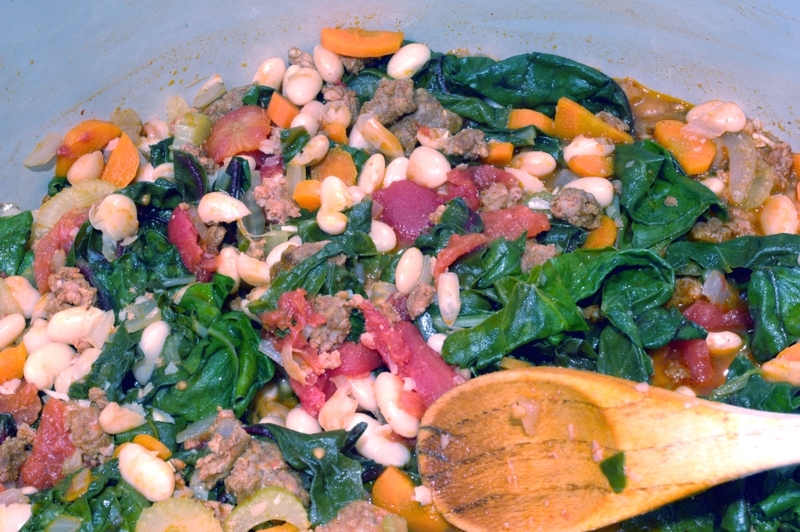 Alternately, place dry beans in crock pot in the morning with water to cover by 3 inches, bay leaf and salt, and cook on low. They will be ready to go in the chili when you get home! Reserve 1 1/2 cups cooking liquid, then drain beans. Put beans and liquid, together, aside until needed. In a large pot, brown meat with a bit of olive oil over medium heat. Remove meat to colander to drain. Wipe pot dry and add 1 Tbs of olive oil. 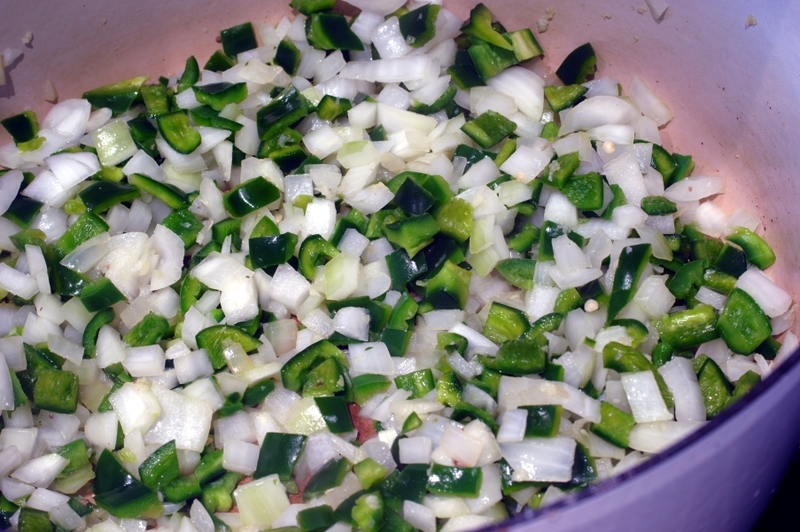 Sweat garlic, jalapeno, onion, and poblano chiles until onion begin to be transparent. Add all other ingredients to the pot, stirring well to combine. 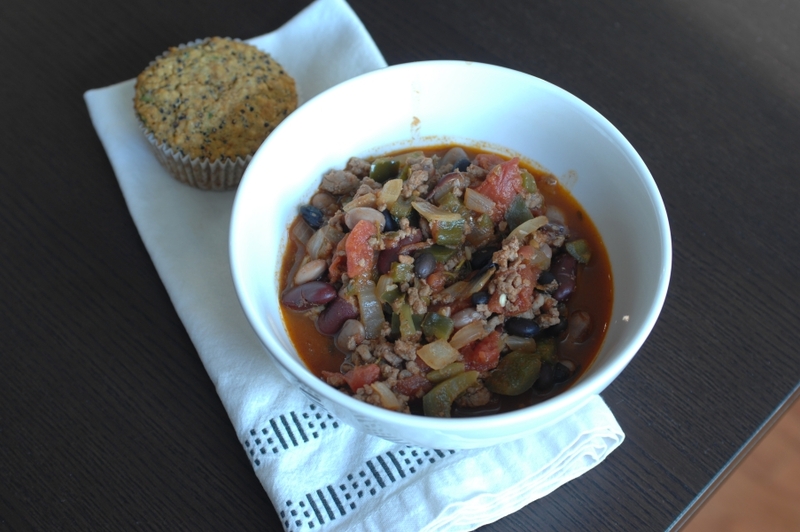 Allow chili to simmer on low at least 30, or until you are ready to have your socks knocked off! This entry was posted in allergy elimination diet, dinner, gluten-free, lunch, recipes, soup of the day, soups & stews and tagged allergy elimination diet, fall, gluten-free, recipes, soups and stews, winter on August 28, 2012 by Brandy. Hi there! I’m back with something toasty to get us through the (hopefully) last few cold days of Spring. A completely cozy, warm and rosy bowl of homemade tomato soup! I know, I know, they are out of season, but I proceeded with good reason: my Mr. had a tomato craving. Now this recipe has him raving (glad, not mad I’m happy to say). The recipe is below; I hope you’ll stay. But stop, delay, just one moment please; what would you say to a nice grilled cheese? Arrrrg, stop the rhyming! My brain has been working in badly composed rhyme schemes all morning. 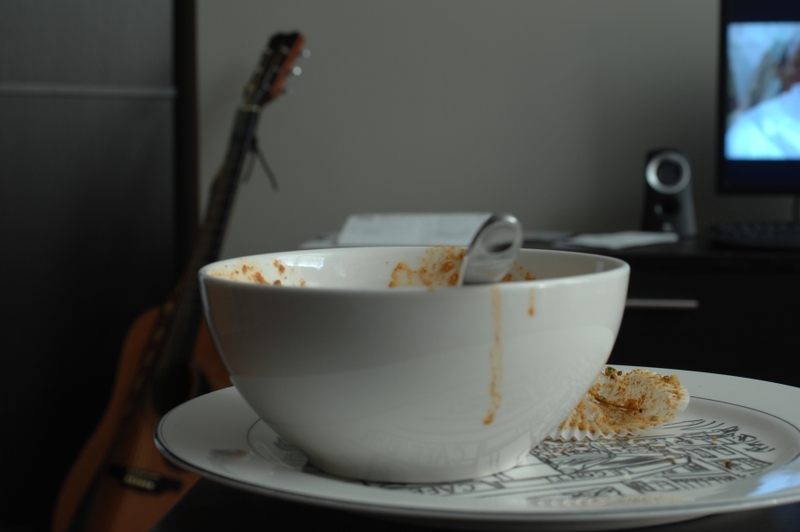 In plain English, this soup is really good and Sarah Britton‘s grilled cheese sandwich is a phenomenal accompaniment. The only changes I make to the sandwich are, first and most obvious, the use of gluten-free bread, second, a thin layer of goat cheese and , third, the addition of cheddar for Jason. I hope you enjoy this most warming of meals! Wash, core and cut the tomatoes into halves. 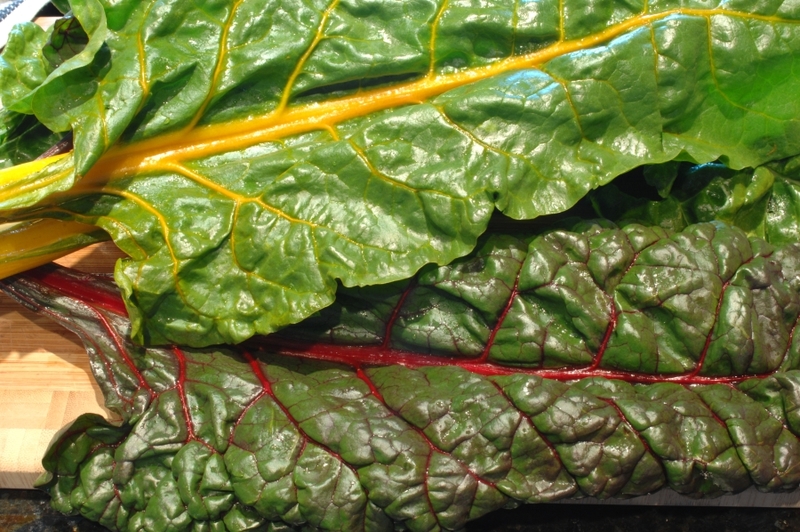 Remove seeds and liquid; strain and reserve juice. 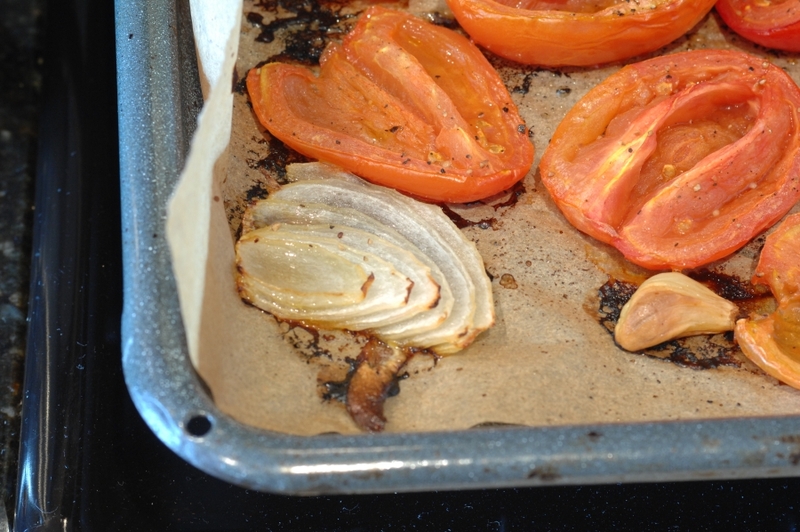 Spread the tomatoes, garlic cloves and onions onto a baking tray lined with parchment paper. 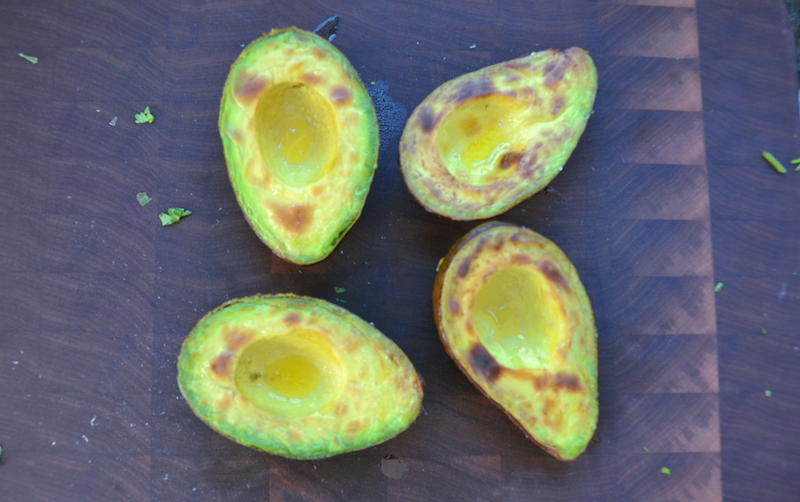 Drizzle with 1/3 to 1/2 cup of olive oil and season with salt and pepper. 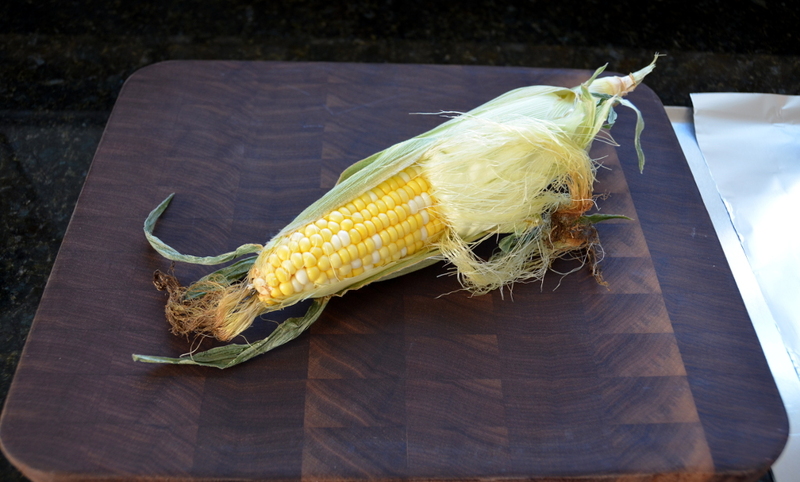 Roast for 20 to 30 minutes, or until caramelized. 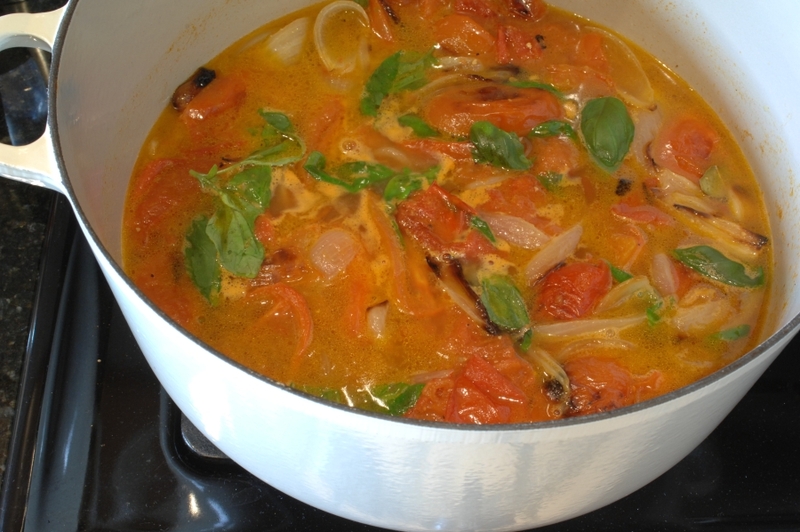 Remove roasted tomatoes, garlic and onion from the oven and transfer to a large stock pot . Add 3/4 of the chicken stock, reserved tomato juice, bay leaves, and butter. 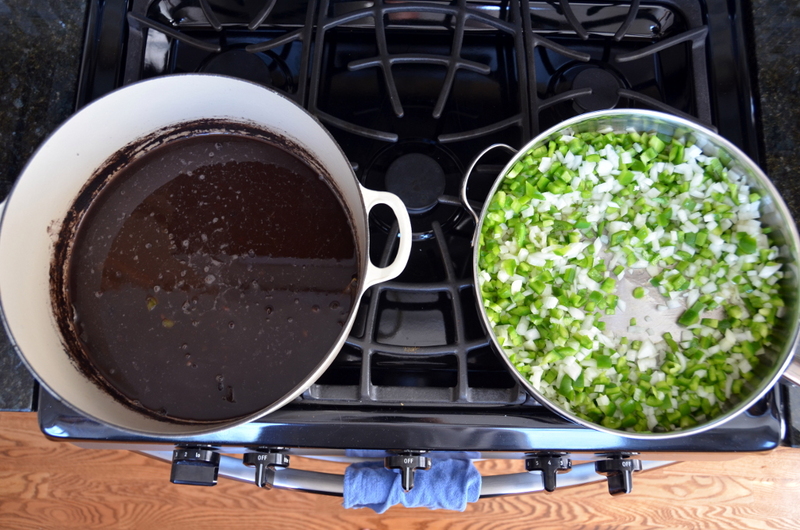 Bring to a boil, reduce heat and simmer for 15 to 20 minutes or until liquid has reduced by a third. Wash and dry basil leaves and add to the pot. 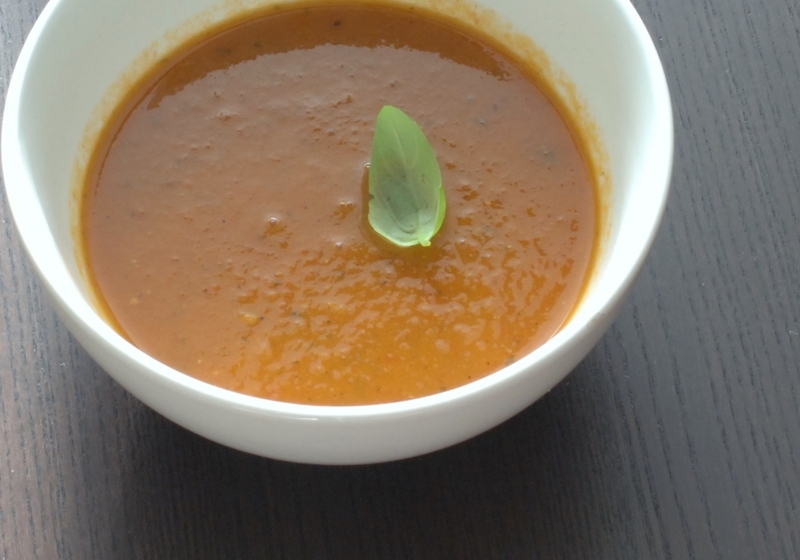 Use an immersion blender (or your best substitute) to puree the soup until smooth. Return soup to low heat, add cream if desired and adjust consistency with remaining chicken stock, if necessary. 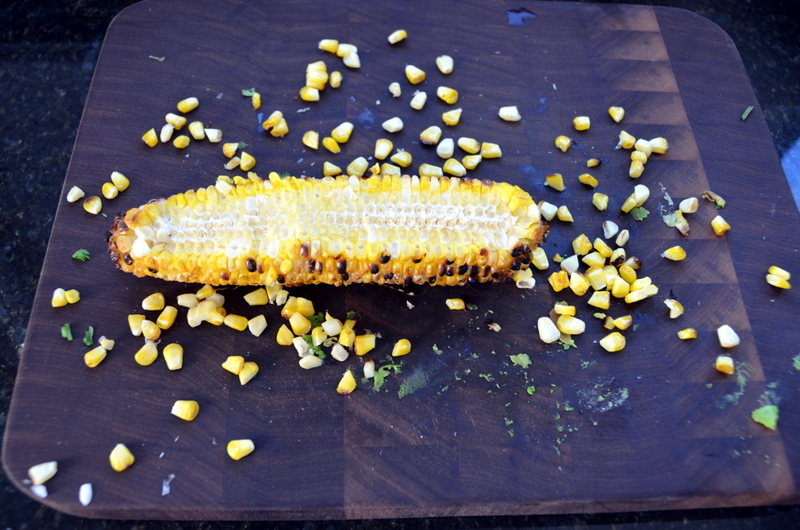 Season to taste with salt and freshly ground black pepper. This entry was posted in dinner, gluten-free, lunch, recipes, soup of the day, soups & stews, vegetarian and tagged gluten-free, sandwiches, soup, soup of the day, tomatoes on April 13, 2012 by Brandy.